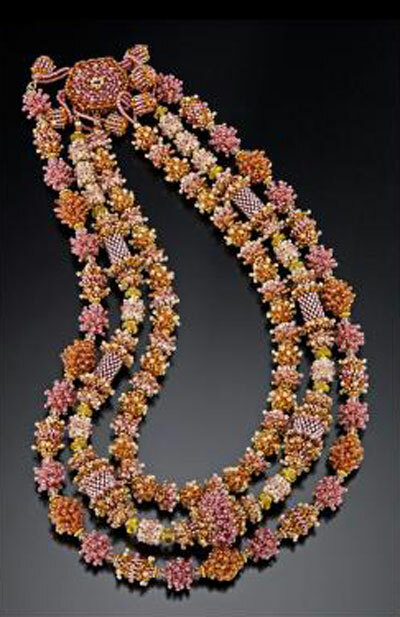 Bead weaving techniques have been used in cultures throughout the world to create beautiful pieces of wearable art. 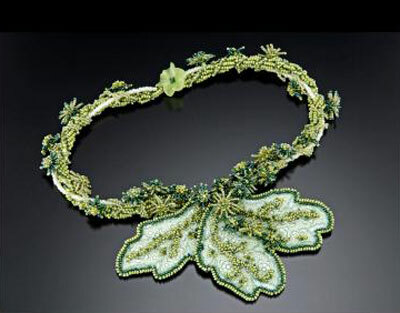 For centuries, jewelry has been made using just thread, a needle, and tiny glass beads. I combine my own weaving techniques with traditional bead weaving to develop one-of-a-kind jewelry pieces. Bead weaving provides the perfect medium to express my imagination in my jewelry. Inspiration for my pieces comes primarily from the beads themselves. Beads can be found in every size, shape, material, and color. My designs usually evolve as I play with the colors and shapes of the beads. 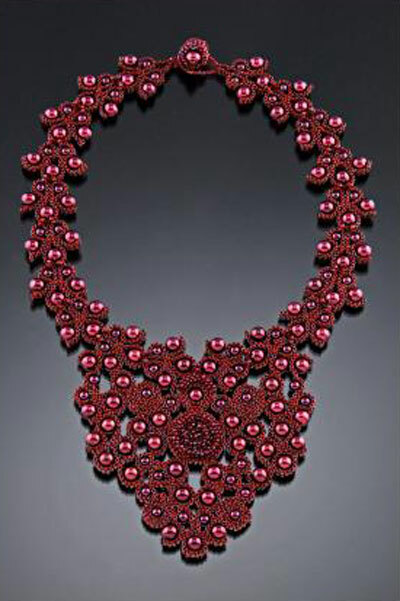 I often weave and embellish with small beads that allow me to add unique textures to my pieces. These tiny beads also provide me with an almost unlimited color palette to incorporate into my jewelry. The colors that I choose are very important to the success of each piece. The signature component of my work is the beaded bead, where I weave small beads together to form a larger, more intricate bead. I started creating beaded beads in 2003, and I continue to create new variations. While developing a new beaded bead design, I created a unique beading technique that I call bead quilling. In this new method, the holes of the beads are exposed rather than the sides, which makes the thread a more integral part of the overall design. 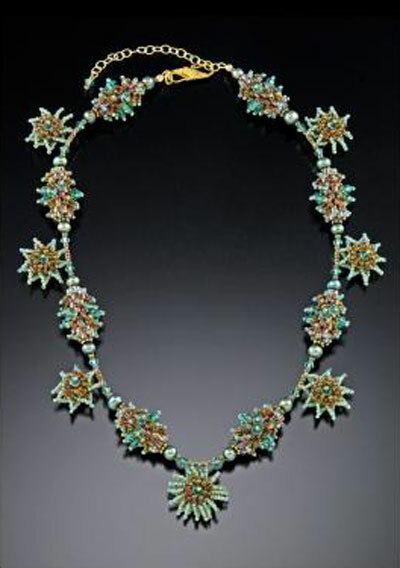 The flat, distinctive look of bead quilling results in unusual designs that can not be achieved through traditional beading techniques. As I look toward the future, I hope to continue to explore new techniques, pushing the boundaries of traditional bead work. I hope to share my love of bead weaving with others through teaching my techniques and displaying my work.